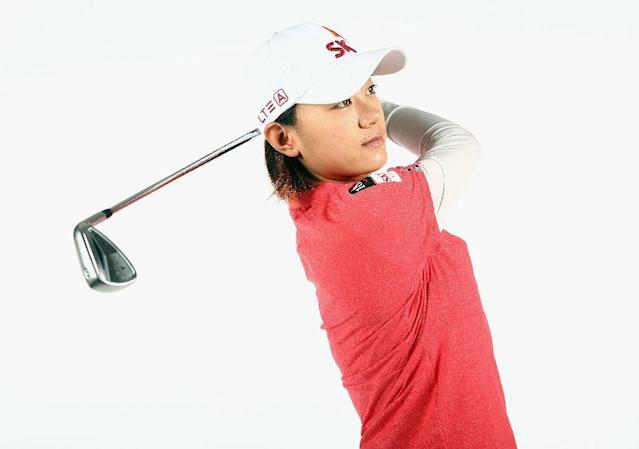 For Choi Na-yeon a boozy round of practise golf may not be what the doctor recommended, but it served its purpose at the time given the pressures involved in returning from a back injury. "I tried to drink some beer and get a little tipsy and playing golf," Choi said of an early round in her slow and steady comeback from the injury. "Because we always play golf in serious mode. I just like to play with more fun." That's something the 31-year-old South Korean would never have thought of when she stopped playing on the LPGA Tour in April 2018 because of nagging back problems. "I just kept playing golf and my swing got worse and worse and hitting my ball going left and right," said Choi, who fired an opening round 65 in her first round in 11 months on Thursday at the LPGA Tour's Founders Cup. "My mentally was like totally broken, so I just needed my body get ready first." After she stopped, the first part of her recovery was to take a two week vacation to Europe, forget about golf for a while and get a fresh perspective on life. "I didn't think about golf," Choi said. "I didn't set the alarm every day. I just wake up whenever I wanted and I just ate whatever I want. "It was a different life. I was kind of a robot when I was growing up and then playing golf well in LPGA Tour. I was living in the box. I couldn't do anything besides golf. Only golf, only golf. Like 100 percent focused on golf." The 2012 US Women's Open champ is one shot behind leader Celine Boutier of France -- which is a big surprise considering her lack of tournament action over the past year. "Golf is really funny game. I didn't expect any good scores today because this is first day," said Choi. "I practised hard, of course, but it's hard to tell how I'm going to shoot. Less expectations, I think, always give you better result." Boutier finished her round of 64 with a four-foot birdie putt on the par-four ninth hole. She captured the Vic Open last month in Australia for her first LPGA Tour title. "It's definitely made me more confident in my game, my ability to win out here," Boutier said. "I feel like I was kind of lacking that confidence last year." Alana Uriell, Charlotte Thomas, Ko Jin-young and Nanna Koerstz Madsen joined Choi at 65. Top-ranked Park Sung-hyun, Jenny Shin, Spain's Carlota Ciganda, Thailand's Pornanong Phatlum and Cheyenne Knight shot 66.